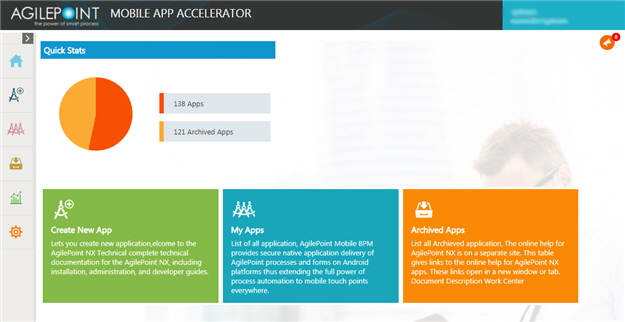 Mobile App Accelerator is a service that lets you create preconfigured, custom-branded mobile apps for iOS, Android, and Windows Phone. With the Mobile App Accelerator, you can create custom enterprise mobile apps in minutes with your own logo, themes, and images that match your company branding. You can host your custom mobile apps in public app stores, private app stores within an organization, or deploy the apps directly to devices with no app store necessary. Mobile app users can use these apps to view and manage tasks and processes.